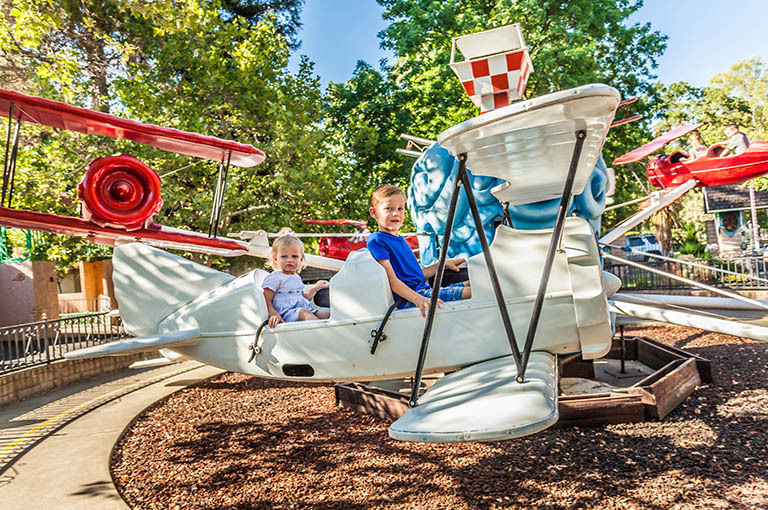 Pilots can soar upwards and down through the sky and live the adventure as a fighter pilot on the Funderland Red Barons. Riders must have full head and body control to ride the Red Barons. Please remember that we cannot allow any expectant mothers or individuals with hard casts to ride for their own safety. All riders must have head and body control to ride. There is a maximum of 175 pounds per plane.